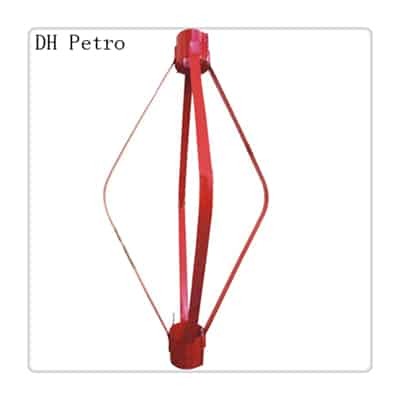 1.The Drill Pipe Centralizers have a welded bow construction and are used for centralizing drill pipe on a stab-in type cement jobs. 2.The longer bow profile allows centralizers to be pulled into restrictions and into larger under reamed open hole. 5.The steel of these bows is a “special” made by combination or different metals to provide one of the best tensile strength as well as the “spring back” bow spring action. 6.In this type of Centralizers the End Collars have hinges which makes it in two halves. 7.This enables them to be assembled at site. 8.The bows are locked to the End Collars via a special locking mechanism. 9.These centralizers can be shipped in half thus reducing the freight cost.